Marijuana activists have long argued that legalization would free up police departments to focus on other crimes. But six years after Colorado and Washington State voted to end prohibition, what does the evidence show? A new study published in the journal Police Quarterly indicates that advocates were right after all. Police clearance rates—a figure that represents the number of crimes that resulted in an arrest divided by the total number of reported crimes—increased in both states post-legalization. Logically, the argument makes sense. 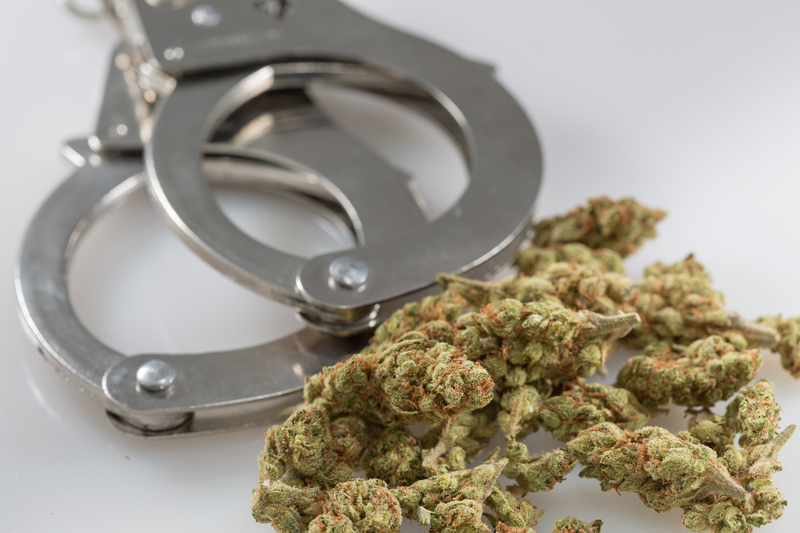 Before a state makes it legal to possess marijuana, for example, there are officers who will take time to investigate and charge individuals for low-level cannabis offenses. But when a state legalizes, they no longer have to allocate law enforcement resources to marijuana-related crimes, thereby enabling officers to go after different, and sometimes more serious, cases. But up until this study, there wasn’t much researching exploring the direct relationship between legalization and crime clearance rates. For the first time, researchers demonstrated that—in Colorado and Washington State, at least—police were able to make more arrests for various crimes post-legalization. That includes violent crimes, property crimes, burglaries and motor vehicle thefts. Alright, so how did crime clearance rates change post-legalization? Likely the most obvious result of marijuana legalization at the state-level is that arrests for marijuana possession would decrease. Dramatic declines in cannabis possession rates were observed in Colorado and Washington State following the passage of legalization initiatives in 2012. Clearance rates for violent crimes were steadily declining in Colorado and Washington State before the states legalized marijuana. In Colorado, those clearance rates slightly increased and stabilized post-legalization. In Washington State, violent crime clearance rates also increased after the end of cannabis prohibition. While many pro-legalization have contended that cannabis reform would result in more police officers focusing on more serious crimes, “it is likely that police already spent a significant amount of resources investigating more serious crimes,” the study authors wrote. And so one of the study’s more significant findings concerns property crimes—clearance rates for which significantly increased in Colorado and Washington State post-legalization. Meanwhile, the U.S. average property crime clearance rate decreased during the same time period. “[I]n the absence of other compelling explanations, the current evidence suggests that legalization produced some demonstrable and persistent benefit in clearance rates, benefits we believe are associated with the marijuana legalization proponents’ prediction that legalization would positively influence police performance,” the study’s conclusion reads. Dogs with epilepsy experience considerably fewer seizures when treated with CBD oil, a new study published in the journal Pet Behaviour Science found. The small study—which followed three dogs receiving hemp-derived CBD treatment over the course of two months, indicates that dogs respond to the cannabis compound in a way that’s similar to humans. The dogs ranged in age and breed. One was a three-year-old Labrador Retriever that suffered seizures spaced out one month apart on average, another was an 11-year-old Papillon that experienced seizures every two to three months and the last was a 10-year-old Chihuahua that has infrequent seizures about twice a year. For the experiment, each dog was treated with CBD twice a day on an empty stomach. The findings are based on reports from the owners, two out of three of whom said the treatment improved their dog’s condition. The Papillon’s owner said the dog’s condition was unchanged. While the sample size of the study is particularly small, making it difficult to draw broad conclusions, the researchers said “seizure frequency improved considerably and owners reported a positive impression” of the CBD treatment. “Further research is needed for better understanding the neurobiological mechanisms of CBD treatment,” the researchers wrote. Last year, a separate study determined that CBD can alleviate the symptoms of osteoarthritis in dogs. Most people who use marijuana report that consuming before or after exercising improves the experience and aids in recovery, according to a new study. And those who do use cannabis to elevate their workout tend to get a healthier amount of exercise. Researchers at the University of Colorado surveyed more than 600 marijuana consumers in states where it is legal to assess how people use cannabis in relation to exercise. Their results, published this month in the journal Frontiers in Public Health, poke yet another hole in the lazy, couch-locked stoner stereotype. Almost 500 participants said they endorse using marijuana one hour before, or up to four hours after, exercising. And based on data from the questionnaire, those who did use cannabis in that timeframe worked out longer than consumers who didn’t pair the activities. Specifically, those who engaged in co-use worked out an average of 43 minutes longer for aerobic exercise and 30 minutes longer for anaerobic exercise. There are a few known barriers to exercise that researchers have identified: a lack of motivation, difficult recovery after working out and low enjoyment of the activity. Cannabis seems to help lift those barriers for some individuals. While it might seem counterintuitive given how cannabis consumers have typically been portrayed in media, there’s a growing body of research showing that many marijuana enthusiasts engage in active lifestyles and that cannabis is associated with positive health outcomes. For example, another recent study found that people who use marijuana are less likely to be obese compared to non-users. Photo courtesy of Brian Shamblen. Six days after posting a notice that calls for a contractor to prepare and distribute research drug products like marijuana cigarettes, a federal agency posted an update, emphasizing that private citizens are not being encouraged to apply for a casual joint-rolling job. Why? Well, it might have something to do with various viral articles reporting on the opening—and readers who then volunteer for the role. The situation seems similar to another recent example that prompted the Houston division of the Drug Enforcement Administration (DEA) to ask private citizens to stop calling about a contractor opening to incinerate thousands of pounds of cannabis per hour. “This solicitation was targeted for a large scale licensed vendor, not private citizens,” they wrote. But according to NIDA, their problem isn’t quite as severe. In an email to Marijuana Moment, a representative of the agency said it has “only received a few public inquiries.” The spokesperson did not respond to a follow up question about the reasoning behind the update. NIDA posted several cannabis-related contract notices last year, including for professional joint rollers and bulk marijuana manufacturers. Photo courtesy of Philip Steffan.